When facing a divorce it's common to worry about the future, and going through the process can be one of the most complicated times in a person’s life. A military divorce presents a series of unique challenges that can complicate the divorce process in unexpected ways. Both federal and state laws govern various aspects of every military divorce, so distinct legal challenges are presented that are nonexistent with other forms of divorce. Our Seattle military divorce attorneys can help you get specific information concerning your situation, before you decide to take the first step. A person on active duty in the military cannot be held in default for failing to respond to their spouse’s request for a divorce. This law protects persons on active duty from having their marriage ties severed without them being able to protect their own interests and rights, according to the law. While on active duty, military personnel have the right to postpone divorce proceedings, and for 60 days after their tour of service has finished. 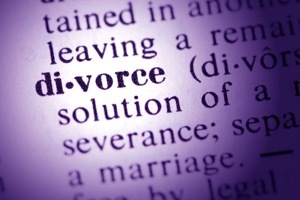 However, a divorce can proceed if the person on active duty has no objections. Obviously, there are many variables that could come into play, so you should get personalized information by talking to one of our Seattle military divorce attorneys as soon as possible. Before proceeding any further, various hurtles will have to be overcome, and our military divorce attorneys in Seattle have decades of experience dealing with cases similar to yours. If the spouse that is active in the military does not reside in the state of Washington, then there is no possible way to file for divorce anywhere in the state. They must also be stationed in Washington so that they can personally be served with their court summons and divorce action. If they are not stationed in Washington then the state court will not have jurisdiction over the case. Our Seattle military divorce lawyers can help you in a variety of ways, such as by explaining how property division is handled, including military retirement and benefits. If children are involved in the military divorce, child support will be calculated according to standard Washington State formulas. Before you take your first step toward the military divorce process, you should get a better idea of how the law applies to your specific situation. Our team of Seattle military divorce lawyers offers a free and private consultation, designed to provide you with reliable and useful information. The information you receive will help you better understand your legal options, and give you an idea as to what you should expect throughout your divorce. Our professional Seattle divorce professionals will be at your side throughout the entire process, acting as your personal adviser and advocate. Contact our team of legal professionals today and take the first step toward transitioning into a new life.